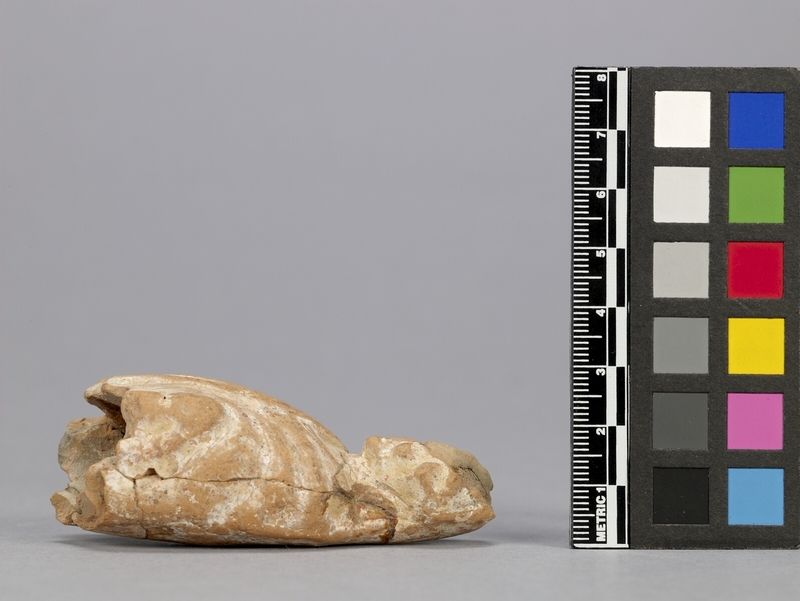 Item number Ce241 from the MOA: University of British Columbia. 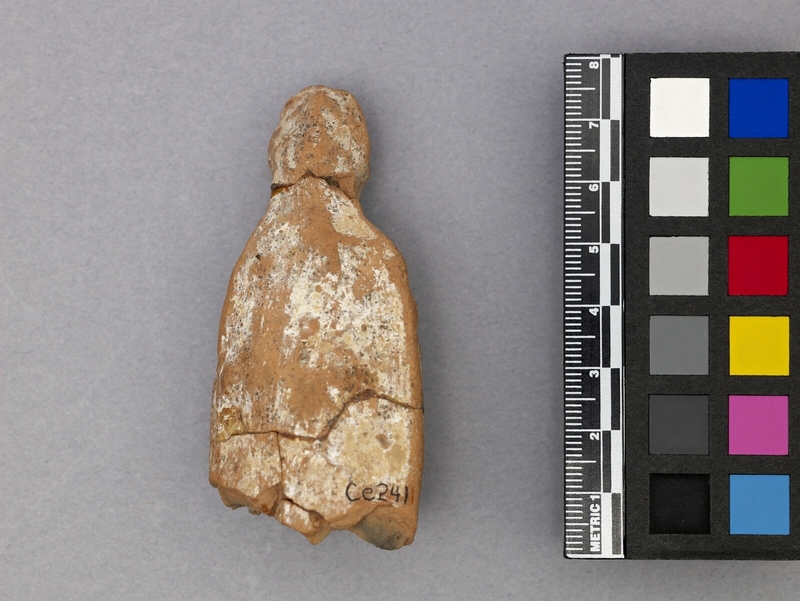 Figure fragment composed of orange-brown clay with a white slip and depicting a female torso and head. 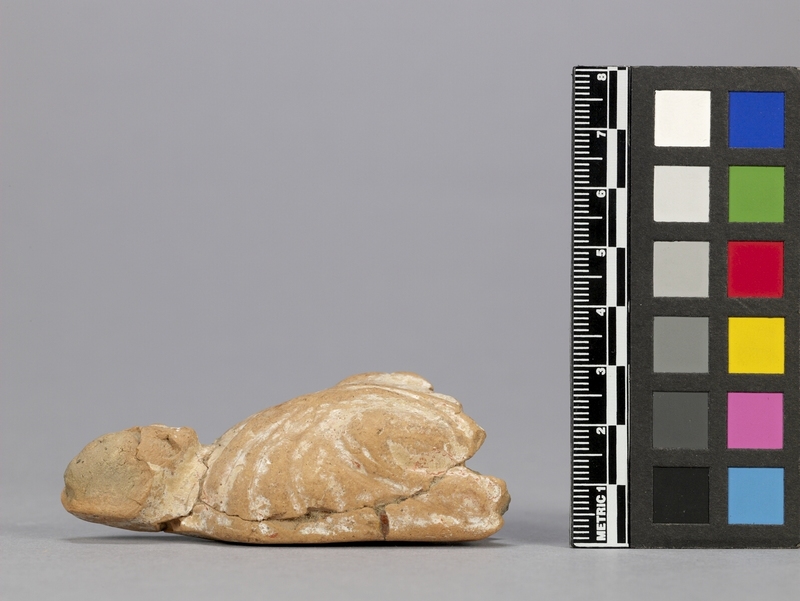 The figure is wearing a thickly folded garment. 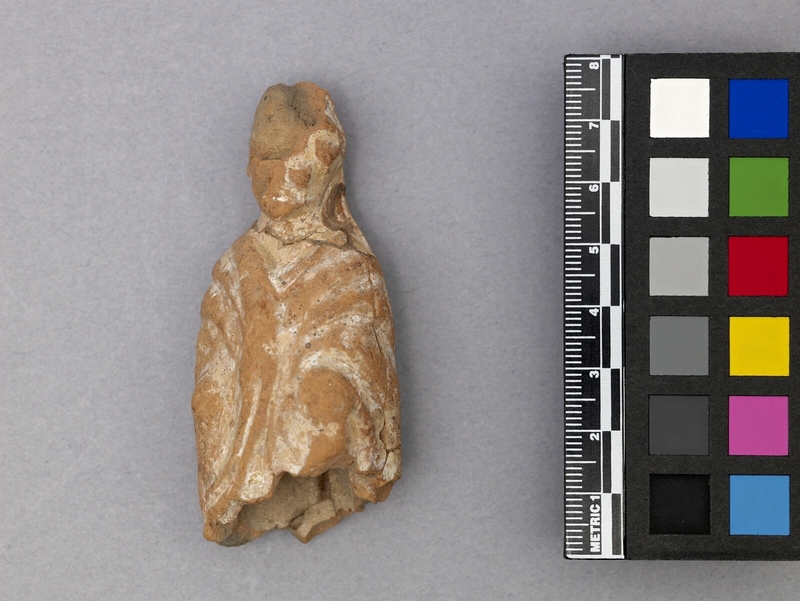 Terracotta figurines served both religious and secular functions. Great numbers of them are found in votive deposits in sanctuaries often intentionally broken, as well as in graves probably as grave gifts. Numbers of them are also found in private homes where they can either be domestic or objects or deities to worship.